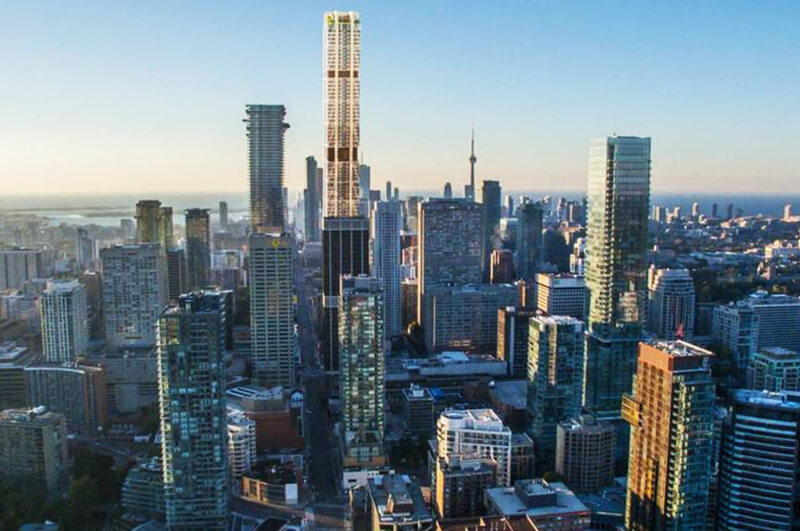 The new skyscraper, exceeding 1000 feet in height will soon mark Toronto’s skyline as the tallest high-rise building in Canada. Whenever a structure of this height is built, significant excavation is performed at the build site to provide a deep, solid foundation to secure the structure. However, in urban, densely constructed areas, excavation of this nature can create a number of safety issues. For one, when excavating in a dense urban environment with a lot of existing utilities, infrastructure, and closely adjacent structures – there is a potential for unintentional damage. Additionally, during the excavation process, equipment and workers are often subjected to safety risks related to stability and of the temporarily installed shoring system. Fortunately, there are many sensors that can be installed in and around the construction site to monitor the impacts of the excavation on adjacent structures, as well as the stability and integrity of the shoring system. This is often accomplished using a combination of vibration, spatial, and strain sensors. When groundwater is near surface, there will also be dewatering programs put in place, which can be easily incorporated into the automated monitoring program. Proactive risk management has been proven to be very cost-effective when using modern instrumentation and automation techniques, and is further enhanced with the ease of use of sensemetrics cloud connected workflows. In May of 2018, Monir Precision Monitoring installed a sensemetrics cloud connect device to automate Measurand’s ShapeArray (SAAV), an in-ground flexure sensing device for automated detection and measurement of ground movement. These measurements are critical to safe operations on the project during the foundation construction, as well as protection of neighboring buildings and infrastructure. Where historically this information could be manually collected using inclinometers manually operated by field crews, the new automated solution provides a near real-time data stream to sensemetrics’ secure cloud platform which can be accessed by the entire project design and construction team for immediate Graphing, Mapping, Alerting – as well as automated Report distribution. sensemetrics was chosen as the platform for construction data monitoring because of it’s plug & play support for Measurand’s Shape Array sensor, and for it’s unique capability of providing streaming monitoring data available via the cloud to any location via a mobile device.